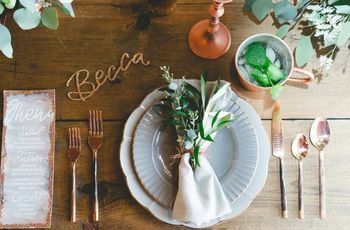 From confetti to ribbon wands, these wedding send-off ideas are perfect if you're hoping to exit in style on your bigl day. 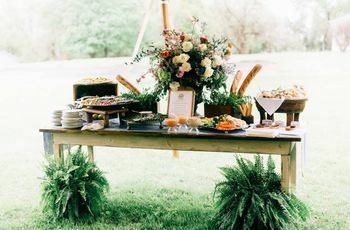 Browsing unique wedding send-off ideas? 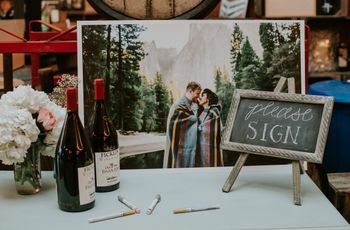 Traditionally rice is tossed when the newlyweds leave their ceremony or reception, but as weddings get more personalized, couples are opting for some more creative ideas for their going away moment. 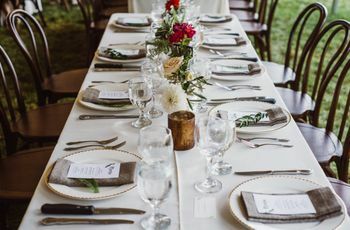 It’s now common to see a toss moment after the couple says, “I do” as they walk up the aisle, as well as when they leave the ceremony site for their reception, or at the end of the night when they leave for the honeymoon suite. 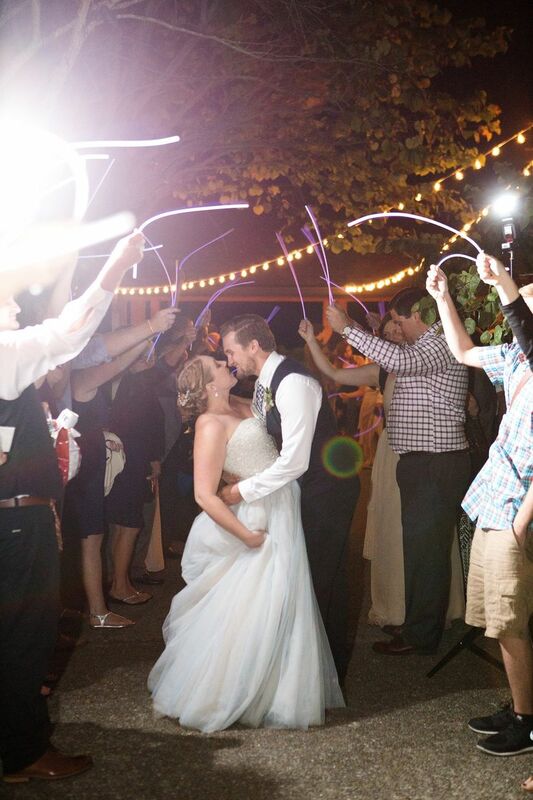 Sparklers have become the go-to wedding send-off of choice for nighttime affairs because of their celebratory vibe, but here are 10 other creative wedding send-off ideas. 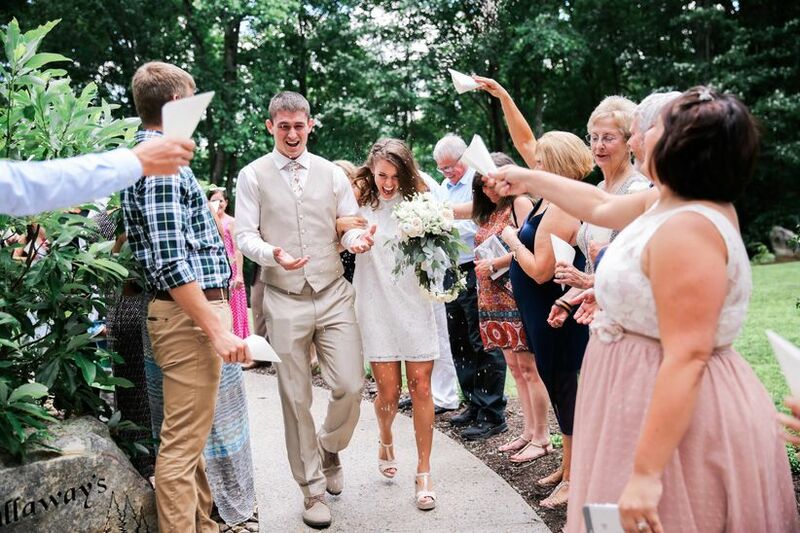 Check out these wedding-send off ideas for a killer exit. 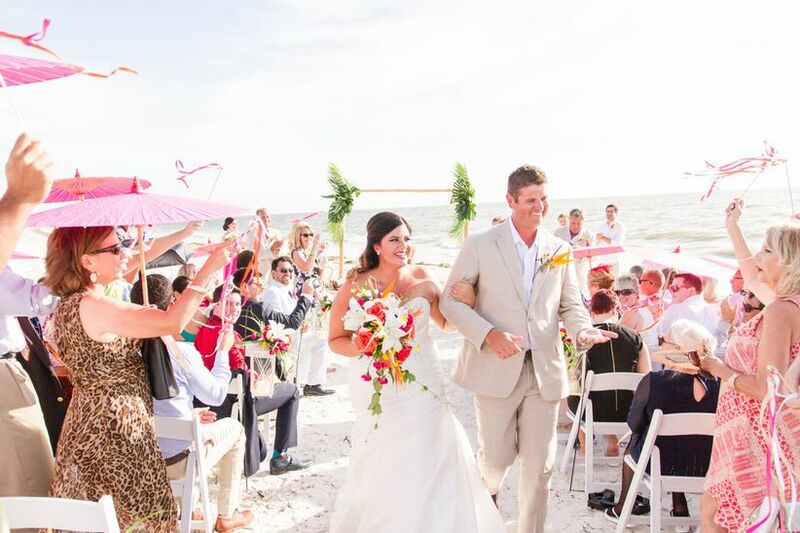 Getting married on or near the beach? 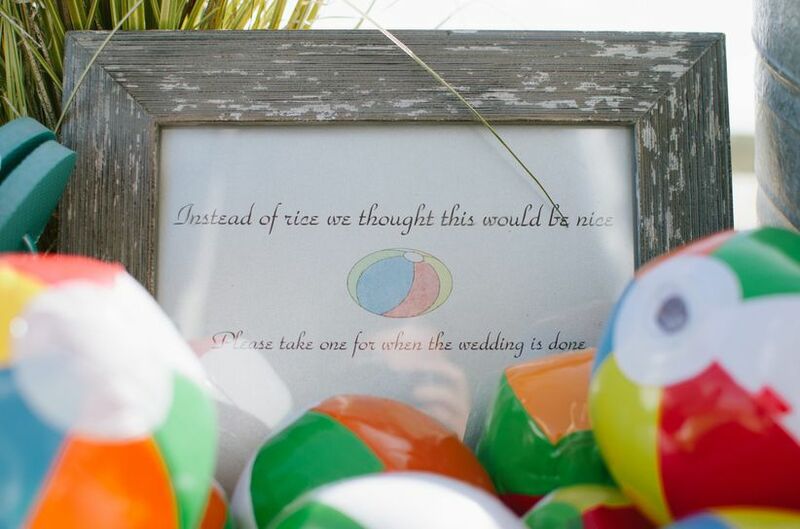 Mini inflatable beach balls can be a fun beach-themed wedding exit. Have guests toss them as you make your way up a sandy aisle, and let kids play with them during the reception. 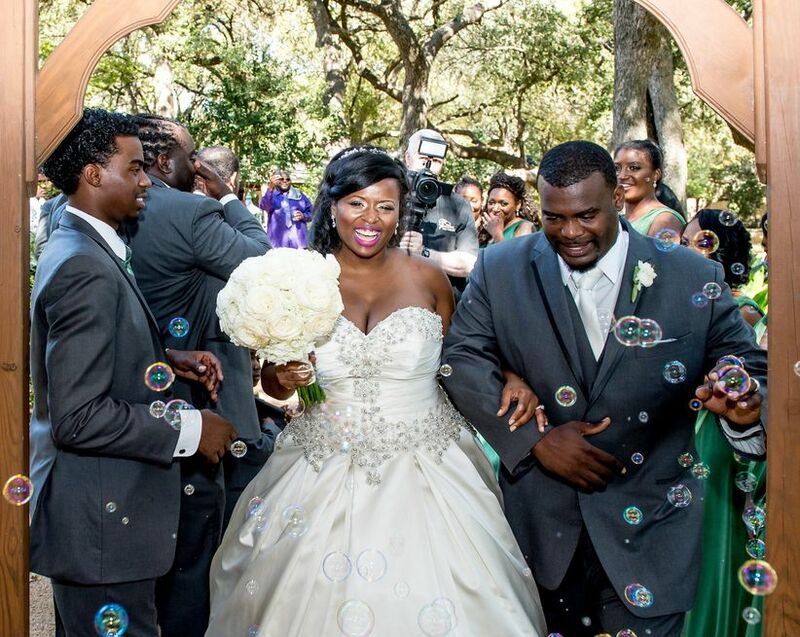 You can’t go wrong with this popular wedding send-off idea: bubbles. Small or over-sized, kids of all ages love blowing bubbles for a wedding exit. Give each guest a small container with a bubble wand and have them blow bubble kisses at you as you leave your ceremony or reception. To increase the quantity blowing your way, set up an automatic bubble machine near your exit path. 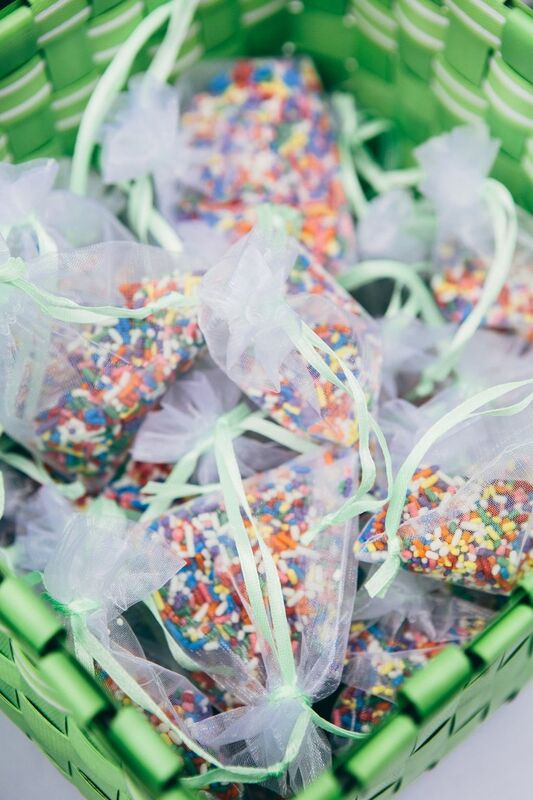 Whether you want something colorful or a nod to your love of ice cream, sprinkles or nonpareils are a super-sweet toss idea. They’re both available in solid colors to match your palette or rainbow varieties. Confetti can be found in so many different styles. 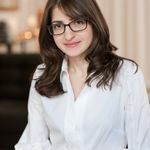 There are tiny circles or oversized ones, photofetti with pictures printed on them, biodegradable options, different shapes they can be cut into and confetti push-pops too. When deciding on what type of confetti to use, pick a type that complements your wedding’s style and palette. 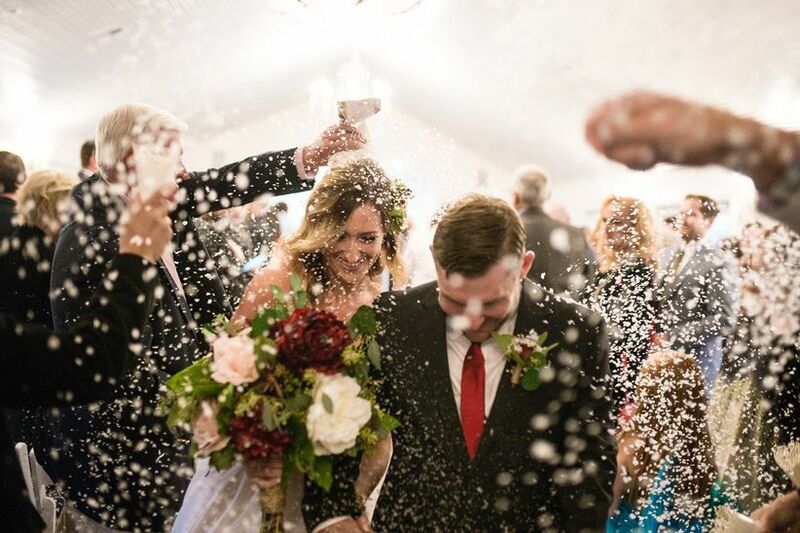 Some venues won’t allow guests to toss confetti (it does make a mess!). Ribbon wands are a great alternative wedding send-off idea that can be easily homemade to match your wedding color scheme. Plus, they make a fabulous take-home favor! 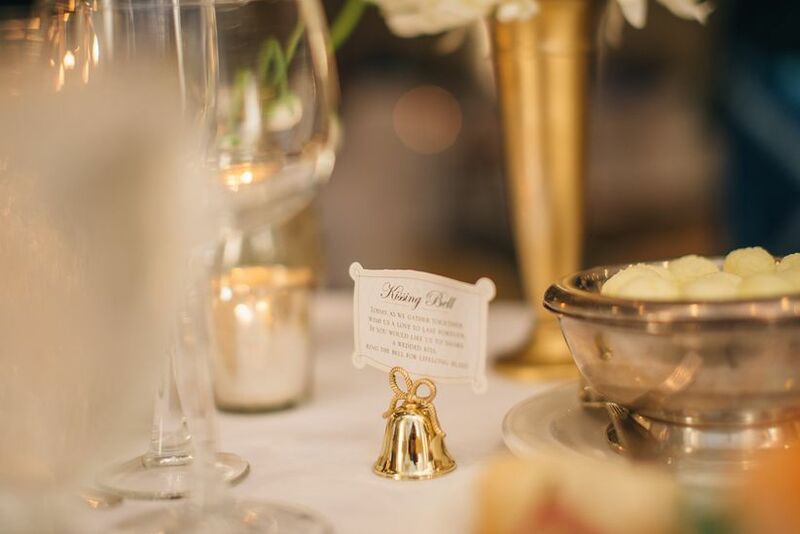 When newlyweds hear the sound of bells ringing, or a spoon clinking a glass, tradition dictates they should kiss. Why not have family and friends ring bells during the getaway moment and share a kiss or two on the way out?! There are a number of different bells you can choose from: tiny “kissing” bells, bells attached to a stick or bicycle bells, followed by a bike ride getaway. 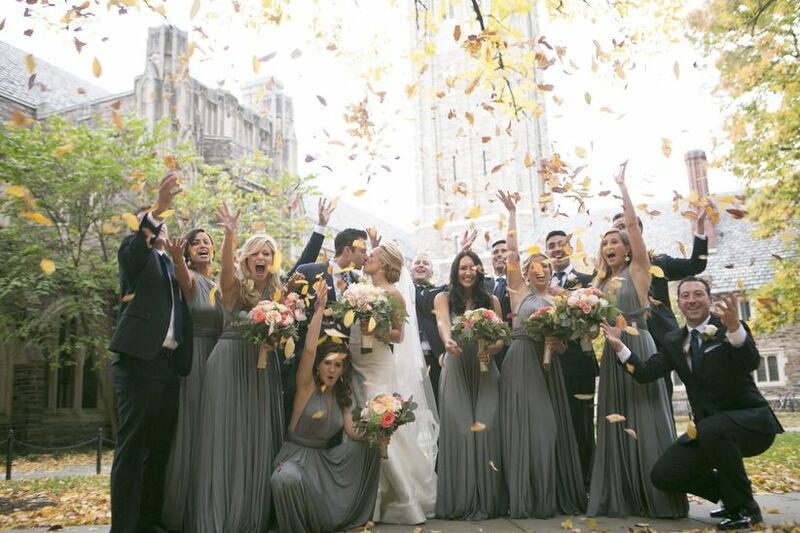 If you chose to wed in the fall because you love the season, or the colors of it, why not have guests toss leaves in the colors of the seasons – reds, oranges, golds and browns – as you make your exit. 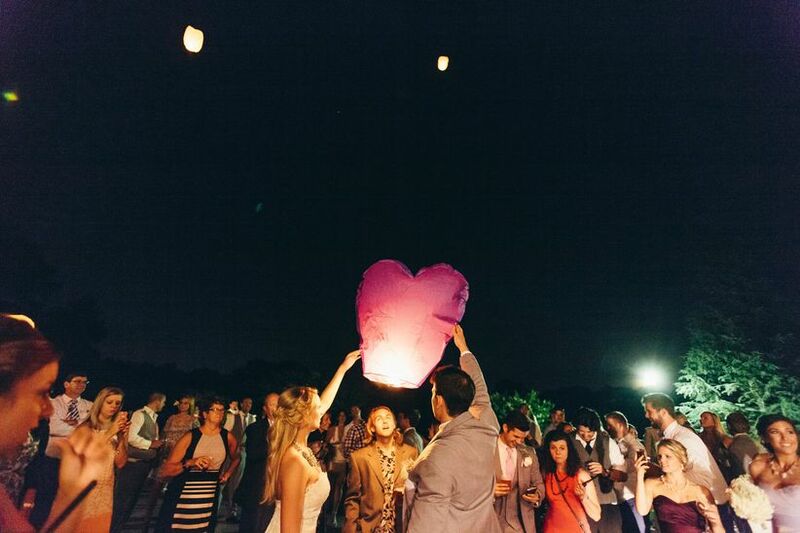 In lieu of a traditional going-away toss, ask your guests to all light and release a wish lantern. They can write a wish for the newlyweds, or for themselves, on them for an added personal touch. Wait till the sun has set and have everyone write their wish, light their lantern and release it as a group. And make sure to capture it on film too! 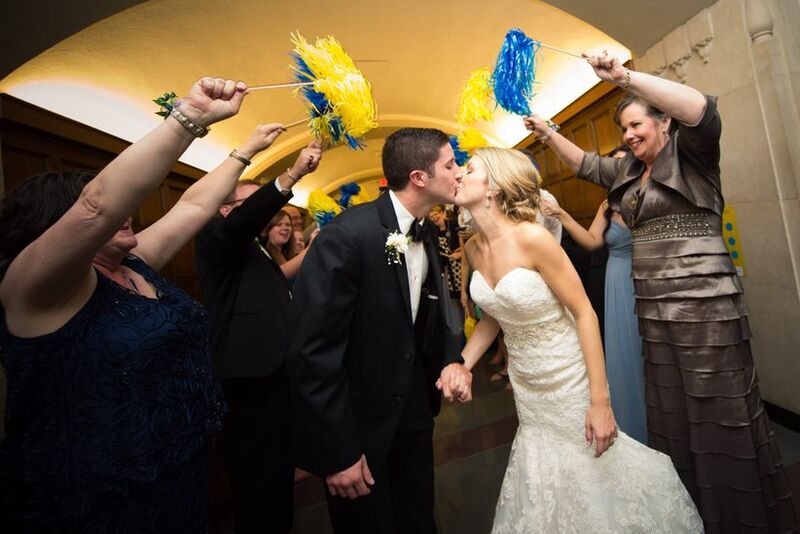 Have friends and family cheer you on as you leave the ceremony or reception site by waving small pom-poms in your wedding’s colors or your favorite team’s. Pom-poms can be found in a rainbow of solid shades, metallic gold and silver, or a mix of white and another color, ensuring that you can find one that’s perfect for your going away moment. Light up the night sky with bright glow sticks! You can pass them out during the reception for guests to party with, and then have guests make their way to the exit and wave them in the air like they just don’t care during your wedding exit as you make your way to a decorated car to your honeymoon suite.